About WTG e.V. - Welttierschutzgesellschaft e.V. Welttierschutzgesellschaft e.V. is a Berlin (Germany) based registered non-profit organisation supported by 100,000 animal friends. The NGO was founded in 1998 and employs twelve members of staff in full and part-time as well as on a voluntary basis. Our vision is a world, in which animals are appreciated and treated according to their needs and respectfully. In our work for animal welfare we focus on countries and regions with little protection for animals. We aim at improving the situation for animals in long term i. e. by providing veterinary care, by supporting animal sanctuaries and through our educational work. We cooperate with local partner organisations and involve the people who are directly concerned. International animal welfare also starts at our own doorstep which is why we also create awareness in Germany, to improve the relationship between humans and animals. In all of our work our charity stands for a high level of transparency. »KUH+DU is a campaign for Dairy Cows. And with "Schütze Deine Katze" ("Protect Your Cat") we adress cat owners to promote the benefits of a castration, vaccination and registration of their help to help control the big amount of stray cats in Germany. Our work is made possible through donations. 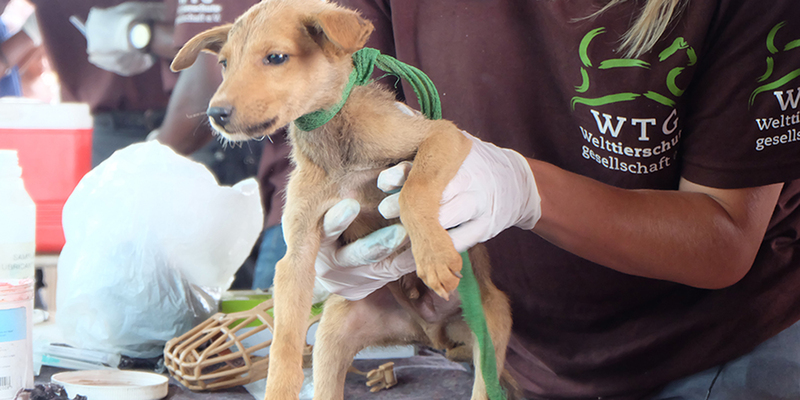 Please help us make a change and improve the lives of thousands of animals worldwide!